Eyes are the mirror of the soul - and your body! There is no doubt that eyes are one of the first things that attract us to another person. You can tell when a person is amused, angry, sad or bored just by looking at their eyes. However, the eyes can also tell a great deal about what health issues may be going on inside the body as well as conditions that might affect the eye itself. It is the only organ of the body where you can see nerves, veins and arteries without cutting into anything. The eye is about 2.5 cm wide and 2.3cm high. The strong outer coat of the eye is called the Sclera and helps to maintain the shape of the eye. The eye is covered by a protective coating called the conjunctiva. The conjunctiva is a continuous layer that also protects the inside of the eyelid. If this coating becomes inflamed, then this is called conjunctivitis. The muscles that move the eye are connected to the sclera and are called the 'extraocular muscles'. The choroid - the second layer, contains blood vessels and has within it two structures. These are the iris and the ciliary body. The iris is the coloured section of the eye and controls the dark spot called the pupil. 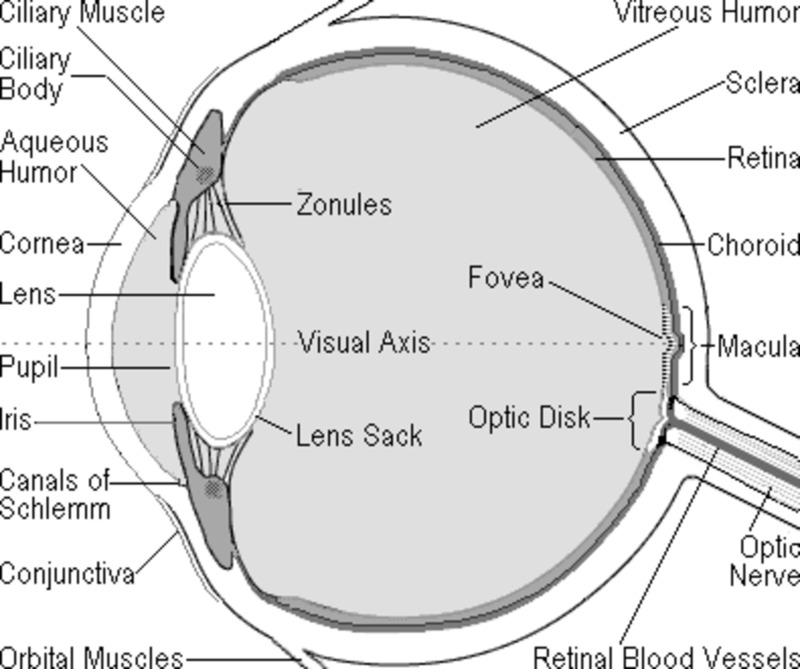 The ciliary body adjusts the lense at the back of the eye to allow us to focus our vision. The retina is the light sensing part of our eye and contains special cells that allow us to see at night, in colour and fine detail. From the retina a group of nerves collect to form the optic nerve that sends signals to the brain. This brief overview shows how complex the eye is - how then can it reflect the state of our heatlh? 1. Second only to the brain, the eye is the most complex organ in the body. 2. There are over 2 million working parts in the human eye. 3. The human eyeball weighs about 28g. 4. The human eye can distinguish over 500 shades of gray. 5. Your nose begins to run when you cry, because the tears pour into the nasal cavaties. 6. 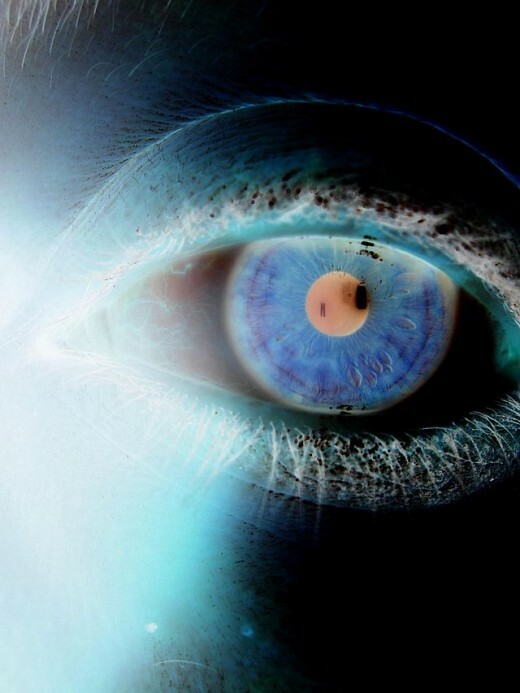 Human beings are very visual - about half our brain is dedicated to sight. This is very different to many animals whose primary sense is smell. 7. Over 36,000 pieces of information are processed by the human eye every hour. The eye can tell us about a number of medical conditions from minor to life threatening. It's usually a qualified specialist who will look into your eyes to assess their health and for any signs of potential health problems. 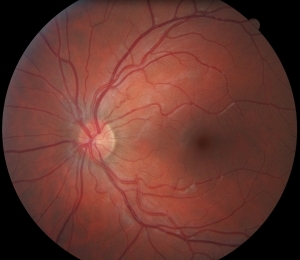 Two signs often discovered on the retina of the eye are damage to tiny blood vessels and nerves. These are both indications that a person may have diabetes and/or high blood pressure.In addition there could be a leakage of pale-yellow fluid and white dots known as 'cotton wool spots'. These white spotted areas can also be an indication of AIDS. A specialist may also find tiny, yellow discolourations and these are arterial plaques an indication of serious health problems. The condition that is usually present when these plaques are present is severe atherosclerosis. This is where your arteries are becoming clogged up due to plaques blocking them and leads to cardiovascular disease. When a specialist looks into the eye at the optic nerve they are looking for a nice healthy colour. If the colour of the nerve is very pale this indicates that there is a poor blood supply to the nerve. This sign could mean that a condition such as Multiple Sclerosis or some form of tumour is present. A specialist will also be able to pick up signs of glaucoma by looking at the health of the optic nerve and testing the pressure within the eye. Glaucoma is where the optic nerve becomes damaged due to lack of oxygen and increased pressure within the eye. 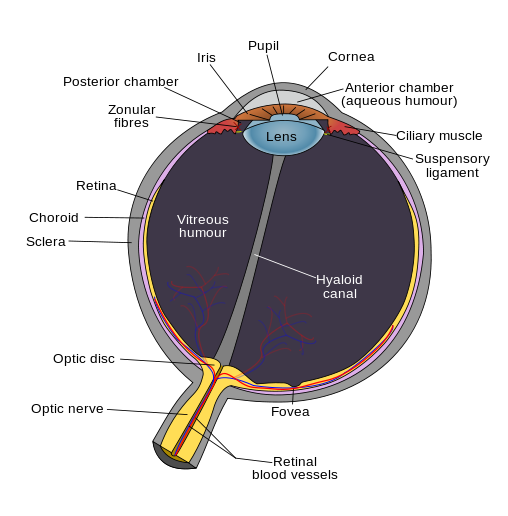 Basically the normal fluid channels in the eye become blocked. Although glaucoma can run in families and people with conditions such as diabetes are more prone to it, the exact cause is still unknown. The main condition that a specialist will pick up on with regards to the lens is cataracts. Usually cataracts are an age related condition where the lens becomes cloudy and much less transparent. The cataract slowly covers the lens until vision is badly impaired. However, the operation to remove cataracts is fairly straightforward. Lets now look at the signs that you can see and what they might be telling you about your health. 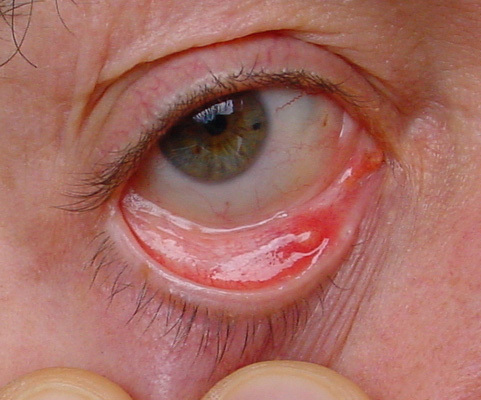 There are many tiny blood vessels within the protective coating of the eye called the conjunctiva. If these vessels burst, the blood can pool on the white of the eye - the sclera. Medically this is known as a subconjunctiva haemorrage The reasons for this can be simply a blow to the eye, but in most cases the cause is unknown. However, in rare circumstances this can also be a sign of dangerously high blood pressure. According to NHS UK Research, the most common reason for dark circles is not ill health but because they run in the family. However, dark circles can appear with certain medical conditions and body changes such as - allergies, asthma, pregnancy, menstruation and even the contraceptive pill on occasion will cause dark circles. 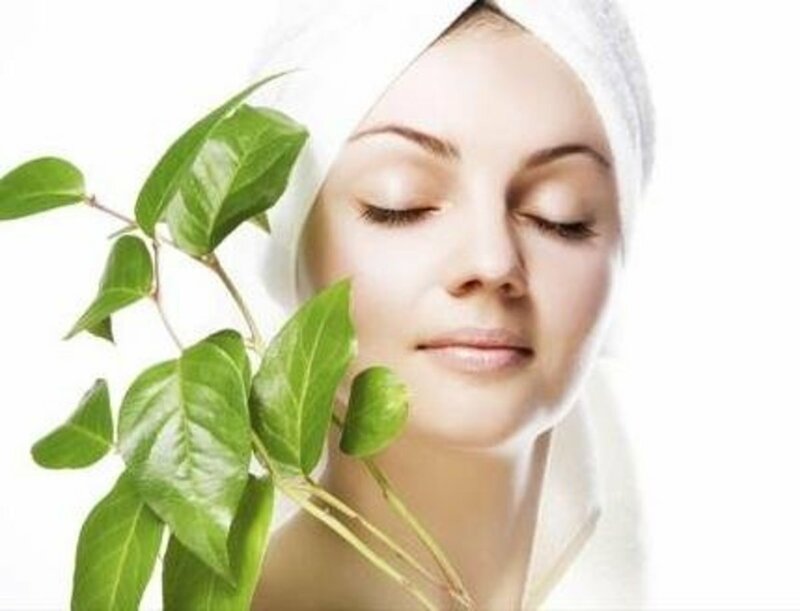 Age can also be a factor as the skin begins to thin and discolouration becomes more pronounced. Sun exposure can also increase melanin levels in the skin, so darkening the tone. Lack of sleep and illness doesn't cause dark circles. What tends to happen is that the skin in the face is usually paler due to tiredness, stress or being unwell, and this lack of colour makes dark circles much more prominent. These are usually not harmful but in some cases they can be a sign of a serious underlying condition such as heart, kidney, liver problems or high blood pressure. Yellow sclera instead of white. This is one of the most common signs of jaundice and can be associated with liver disease - for example cirrhosis and hepatitis. The yellow colour is caused by the build up of bilirubin. This compound is a natural product produced by the breakdown of haemoglobin and is eventually excreted in bile due to the actions of the liver. However jaundice can also be a sign of blood or spleen disorders not just the liver. Often this is just a genetic trait carried on through families. However, it can also be a sign of disease of the thyroid gland. In this condition the tissues surrounding the eye become congested and swollen, giving the appearance that the eyes are protruding. Unequal pupils of the eye. If there is a distinct difference in reactions between one pupil and another - for example one is larger, one reacts slower or not at all - then this is often an indication of some kind of brain trauma such as a stroke, head injury, tumour. However, drug abuse can also cause these unequal reactions in the eyes. 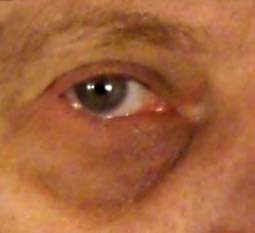 The medical term for this is called ptosis and normally it is cause by something mundane such as eye strain or ageing. However, it can also be an indicator of medical conditions such as a stroke. It can also be a sign of a neurological disorder called Myasthenia Gravis, (MG). 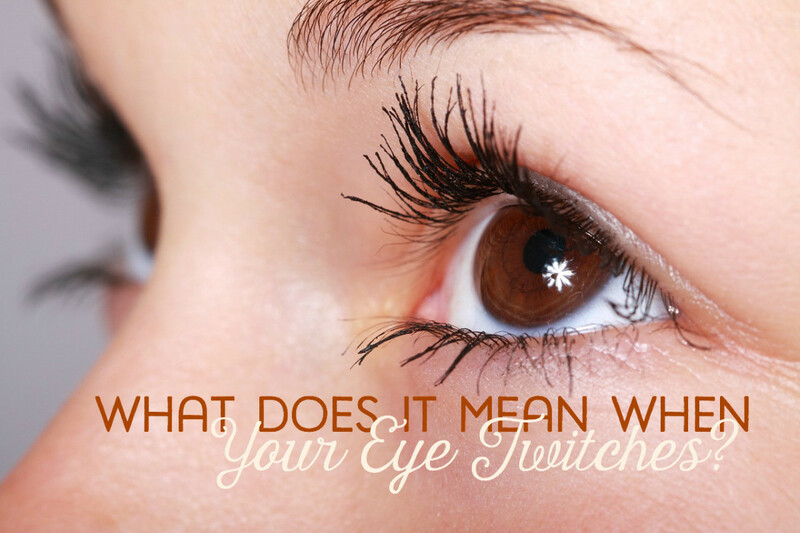 It is quite rare though for a droopy eyelid to be a symptom of these conditions. In a few rare incidents this can be a symptom of neurofibromatosis. This is a hereditary disorder where there are numerous growths of tumours along nerve fibres. One of the most famous patients who was believed to have had this horrific condition was John Merrick, the 19th century Englishman, also cruelly known as the 'elephant man'. However, medical experts now think that John Merrick suffered from another, equally distressing illness, called Proteus Syndrome. Blood shot eyes are not always a sign of a hangover. Many people with severe allergies have blood shot eyes and it is also present in some bacterial infections of the eye. It could also be a symptom of Iritis - inflammation of the coloured part of the eye. In rarer cases, according to author Dr Dawn Harper, it can also be a sign of arthritis. The skin inside the lower lid of the eye should be a healthy pink colour. If this area is pale then it is usually a sign of iron deficiency anaemia. The medical term for this is myokymia and is caused by the contraction of random muscles in the eye. It can be sign of a number of conditions, but more commonly it indicates a lack of magnesium in the diet. In addition it can also be an indicator of much more serious ailments of the nervous system such as multiple sclerosis. Regular eye examinations - at least once every two years. Even if you feel you don't need glasses or contact lenses, the optician can check your eyes for other health issues. A healthy diet and weight are also important to keep your eyes healthy and helps to protect against many conditions that may affect the eyes. Always cover your eyes when out in the sun. UVA and UVB rays can can increase the risk of both cataracts and AMD,(age related macular degeneration). Be careful when carrying out tasks at home. DIY causes thousands of injuries every year that could have been avoided by wearing safety goggles. Our eyes, like the rest of our body, have to last a lifetime. Although the eyes are delicate, they are more than capable of remaining strong and healthy for decades and beyond. It's up to us to ensure that we play our part in maintaining their health. Do you know your 'eye' facts? Re: pinguecula, because the condition is simply an alteration within the tissue white of the eye - leading to small fatty deposits - and it's not a tumour, then I don't feel there is anything to worry about. As far as I know, no one has lost their sight because of it, nor has anyone lost their vision. As to causes, there is no 100% verification of cause yet. However, people who spend a lot of time in the sun do seem to develop the condition more than folks who are not in the sunshine as frequently. In addition, exposure over a long period to eye irritants such as wind, dust and other particles are thought to also play a part in the development of the condition. Great information. What is your take on pinguecula? Cause? Remedy? Long-term consequences? ~ Voted up! That's great to hear and as I said, opthalmologists are worth their weight in gold and I often think they don't get enough recognition for the work that they do. Yes indeed; he gave a few people extra years of life having found signs of tumours early enough to warrant treatment, so was greatly respected for his professionalism and diligence. Hello annart, many thanks for stopping by and glad that you enjoyed the hub. I have lots of respect for professionals like your Dad, they are at the very front for diagnosing many illnesses in the early stages. Good, informative hub. 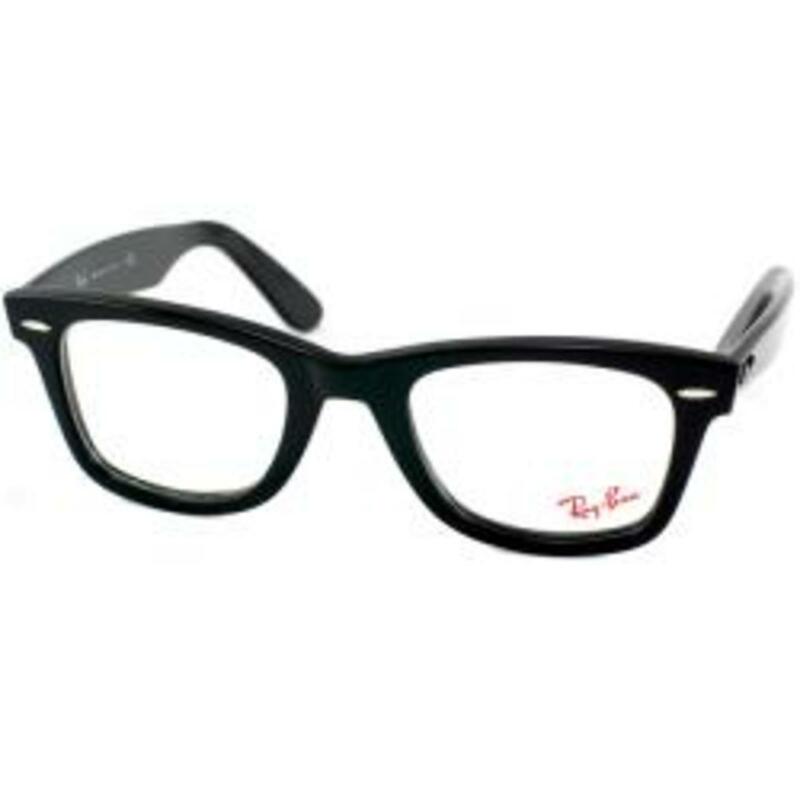 My father, who was an ophthalmologist, always emphasised to me how important eye care and regular eye tests are so I can say amen to all that. Voted up, interesting and useful. Hi Alastar - as always a pleasure to hear from you and glad that you enjoyed the hub! LOL!! I agree - what a bumber not being able to give the old eyes a good old rub!!! What the heck do you do when you get an eyelash or something? Having to leave it would be torture!! I think I'll be giving my eyes a sneaky rub once in a while!!!! Hi toknowinfo, many many thanks for your lovely comment! It makes the apprenticeship etc all worth while! I think it's always a huge surprise to us all just how much our body's speak to us and if we know a little about the language and signs, it may just prevent ill health that might be avoided. Many thanks for your vote up - greatly appreciated! HI Frank - I don't think any of us do think about how external signs can be showing how healthy or unhealthy we are inside, but I reckon it's always good to have a bit of knowledge in the background! As always my friend, it's a pleasure to hear from you! Hello Seeker! Just had the yearly eye exam- yes, over here if you have any glasses or contacts to re-up you must see an eye specialist yearly. Knew the eyes were really a part of the ol thinker and you've added some good info to that. The illnesses that can be suspected is good to know too. No rub eyes, eh Helen...but it feels so good! Hi Helen, This is a great, great, great great hub! Eye learned so much. Your info is so well written and easy to read. We often don't realize what our body can tell us. Taking care of our eyes is so very important. I appreciate you putting this together and sharing your knowledge. Rated up, useful, and interesting. Hi teaches12345, lovely to hear from you as always and glad that you enjoyed the hub and found it useful. I agree with you, safety glasses are so important when doing any kind of DIY. The thing is about objects going into the eyes is that they don't have to be big to cause quite a bit of damage. 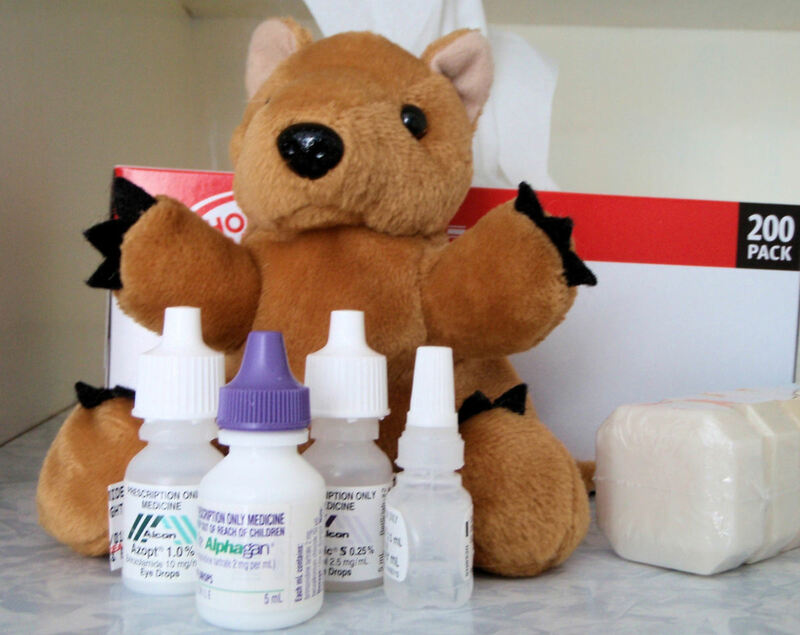 I've seen photos - not very pleasant - of people who have had tiny splinters in their eyes and they have caused not only infections but ulcerated areas. So good for you for getting on to hubby!! Your doing a great thing by making him wear the safety glasses!! If you have to keep on at him, look up some yucky photos from the web on eye injuries - that will cure him I'm sure! Hi Kashmir56, always a great pleasure to hear from you! Glad that you found the hub interesting. That's also interesting about your cataracts. My sister has cataracts just starting, but she's been told they will not do anything about them until they are further over the eye. I don't know how long this will take, but I've started getting some information for her in the meantime. Many thanks for the share - always appreciated!!! Hi again grandmapearl, love to have your visits and to read your comments! Some of the information was also new to me, and that's what I like about being a writer, there is always something new to learn - nearly every day as well! Many thanks again for your visit, it's always a pleasure! Hi Ingenira, many thanks for stopping by and glad that you found the hub useful - especially the dark cirlces!! Voted way up for the healthy advice and knowledge presented here. Your advice on how to protect the eyes is wonderful. I get after my hubby to wear safety glasses when he does work around the home requiring sanding, painting, etc. It is so important to protect the eye area. Great interesting information within this well written hub. I had cataracts and had surgery for both eyes, so i know how important it is to have eye check up . Well done ! This was a very informative and interesting read. Some I already knew, but other facts were new to me. Thanks for a very thorough 'look' at eye health and conditions that can compromise these very important organs. Voted Up, Useful and Interesting. Nice job! Very informative hub. Good to know that menstruation and a few other health reasons can cause dark cycle under the eyes. Lack of sleep and illness doesn't cause dark circles.